Did you know that a cup of green tea a day keeps the doctor away? 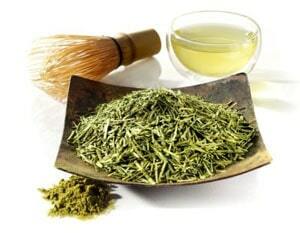 Green tea does more than heal a sore throat or whooping cough. It carries an antioxidant called polyphenols. This antioxidant, also known as catechin is linked to many anti-cancer fighting activities and it is stronger than vitamin C and E.
A Harvard Medical School study revealed that green tea fights against prostate cancer tumor cells and reduces breast tumors. It even boots function in old age. Researchers found that drinking three to five cups a day can help with weight loss. It also helps to lower the risk of heart disease, high blood pressure, diabetes, and bladder cancer. However, research does not prove that green tea can cure any disease. “There are real pearls of promise here, but they have yet to be strung,” Dr. David Katz, director of Yale University’s prevention research center, told Health.com. Drinking green tea maybe our remedy to keeping our bodies youthful, stylish, healthy and energetic well into our mid-70s and 80s. It’s also packed full of antioxidants which help keep your immune system balanced and healthy to fend off illness and diesease. Now isn’t that something to think about! So nix those big cups of sugary sweet tea and try a cup of green tea instead. You’ll find that the trade is worth your wellness. Are Platform Sneakers the New Stiletto?